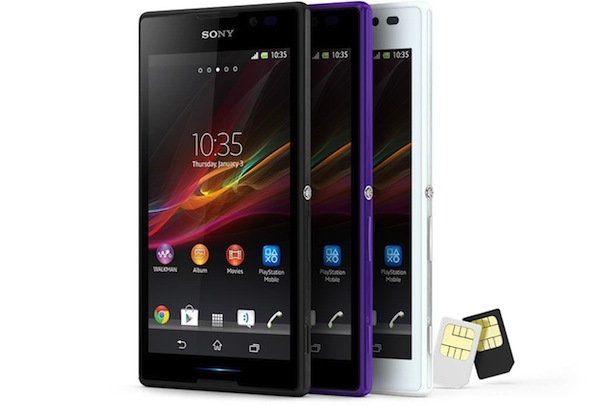 As listed in Sony Malaysia’s official website, the mid-range dual-SIM Sony Xperia C is now available here in Malaysia for a suggested retail price of RM999. The Xperia C was first announced for the China market back in July, packing some mid-range specs under a 5” qHD display. Available in the usual black, white and purple, the Xperia C is powered by a 1.2GHz Quad-core MediaTek MTK6589 processor with 1GB of RAM on board. With 4GB of internal storage that is expandable via microSD slot, it allows you to capture great pictures with an 8MP rear camera with Exmor R sensor. “Xperia C combines Sony’s leading camera and display technology with our 2013 OmniBalance design philosophy. The combination of the vibrant qHD display and the powerful processor results in a phone where speed and performance comes to the fore.” – Cheong Wah Tong, Head of Market for Sony Mobile Communications Malaysia. Other specs on this mid-range Android device from Sony includes dual-SIM capability, combining your work and play into a single device, Sony’s UI with a suite of Sony apps such as “Walkman”, Album and Movies apps, and a removable 2,390mAh battery at the back. The device is available immediately in selected Sony stores, as well as our very own Storekini, who is offering the phone at a special price of RM949. Sony Xperia Z1S Press Image Leaked - International Xperia Z1 f or Just a T-Mobile Variant of the Z1?